“Magtanim ay di biro” (Planting rice is never fun) used to be sang I the old days. It is because during planting season, nobody ever seems to stand straight. Everyone is stooped down under the hot sun planting the rice seedlings. And yes, it is never fun. Today, local farmers and engineers have teamed up to develop and create the “Local Riding-Type Transplanter” or LRTT. This enables the farmer to ride the LRTT when planting the seedlings or rice stalks. The machine enables the farmer to plant from 2 to 6 seedlings at a time at a depth of 2-6 centimeters with 12 – 18 centimeters distance between them. Each line is separated by 30 centimeters. The LRTT has the capacity to plant 2 hectares of Riceland I five days as compared to the average manual planting of 14 – 18 days. This greatly enhances the efficiency of the farmer and maximizes the space for each seedling. 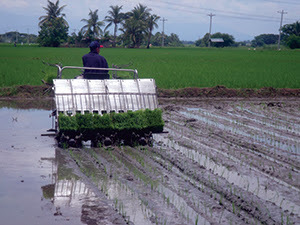 The Philippine Rice Research Institute (PhilRice) developed the LRTT based on designs from Korea but was further modified for Philippine conditions. 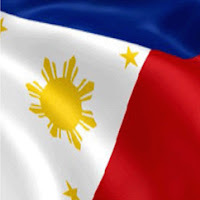 The project was financed by the Philippine Council for Agriculture, Aquatic and Natural Resources Research and Development ng Department of Science and Technology (DOST-PCAARRD). The LRTT will be pilot tested for capabilities and endurance in several selected areas in the country for two years. Nueva Ecija, Iloilo and Midsayap, North Cotabato will be given each an LRTT for field testing. The farmers In these areas will be trained in the use, care and maintenance of the machines. Manufacturers of the machines will also be given training. The field tests will be used to determine ho to further improve the machines and how its utilization will be more acceptable to farmers and the agricultural machinery market.